Many providers don’t take insurance because they say reimbursements are too low, forcing families to pay out of pocket. 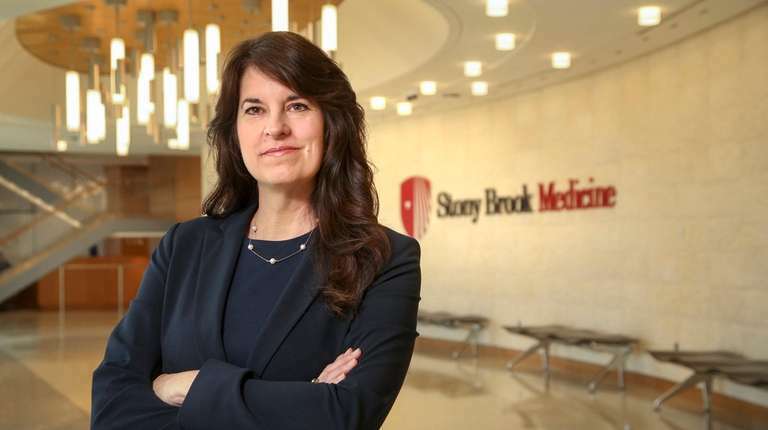 Dr. Kristie Golden, an associate director at Stony Brook Medicine, said lower payments from insurers have pushed many medical students to choose fields other than psychiatry, and when providers do not accept insurance not everyone can afford to pay. A shortage of mental health professionals has forced some Long Islanders to wait months for an appointment, and patients who do get care without a delay often pay out of pocket because many psychiatrists, psychologists and other therapists don’t take insurance. Insurance reimbursements for those care providers are too low, and don’t come close to those of several other medical specialties, experts at Long Island’s largest health systems said. And with demand for treatment high, psychiatrists often only treat patients who can afford to pay out of pocket. That can mean hundreds of dollars for a 45-minute session. Nearly 25 percent of respondents in a 2017 survey by Roslyn Heights-based North Shore Child and Family Guidance Center, a not-for-profit children’s mental health agency, said they couldn’t find a single provider who took their insurance. There is also a broader economic cost. Depression and anxiety cost the global economy $1 trillion annually in lost productivity and absenteeism, according to the World Health Organization. But the organization said for every $1 spent on treating those disorders, there is a $4 return in better health and ability to work. Local health systems are working to improve the situation by opening mental health care centers that accept insurance and locating mental health providers who take insurance within primary-care settings. However, the shortage of providers is growing. The state Labor Department projected in 2012 that a 25 percent increase in psychiatrists and a nearly 30 percent increase in mental health therapists would be needed to meet demand from 2012 to 2022. According to the National Alliance on Mental Illness, about 19 percent of adults in the United States, or 43.8 million people, experience some type of mental illness, such as depression, anxiety or bipolar disorder, in a given year. About 21 percent of teenagers experience a severe mental disorder at some point during their life, the group said. Dr. Michele Reed, a family practitioner in Garden City, says she struggles to find psychiatrists who take the same insurance she does, so it’s difficult for her to send her patients who need help to a psychiatrist. Against that backdrop, just 55 percent of psychiatrists nationwide accept insurance, according to a National Council for Behavioral Health advisory board, a Washington-based organization that advocates for the mental health profession. In comparison, more than 90 percent of primary-care physicians take private insurance or Medicare, according to the Kaiser Family Foundation, a nonprofit health care policy group. Many psychiatrists “who do take insurance come to realize that there isn’t enough time in the day to see patients and then handle all the paperwork, requests and denials that come with taking insurance,” said Dr. Ronald Brenner, chief of behavioral health services for Catholic Health Services in Rockville Centre. Although regional numbers are hard to come by, the percentage of psychiatrists who don’t take insurance could be higher on Long Island, said Dr. Aaron Pinkhasov, chairman of the Department of Behavioral Health at NYU Winthrop Hospital in Mineola. “There are more people who could pay out of pocket, so it’s a more feasible option for doctors in a region like this,” Pinkhasov said. But Long Islanders still have better access than residents of rural areas of New York and the nation, where finding providers is even more difficult, experts said. In metropolitan areas, there are 17.5 mental health providers per 100,000 people, according to an American Journal of Preventive Medicine analysis completed in 2016. The number of providers falls to 5.8 per 100,000 in non-metro counties. 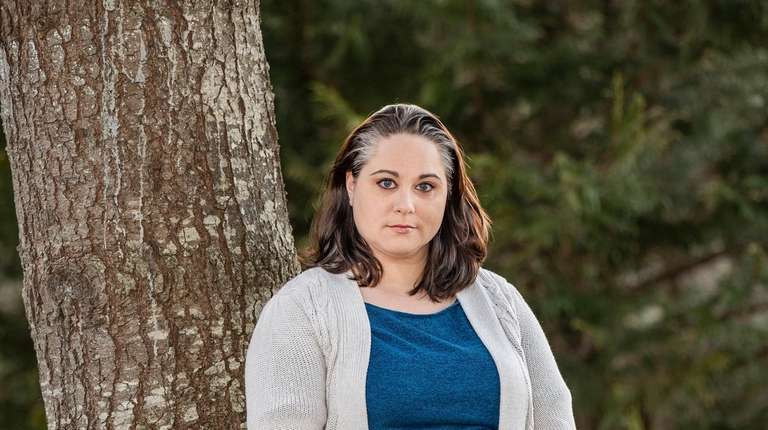 Christine Sampson, 37, of Amagansett, said she traveled more than two hours to Hempstead, because she couldn’t find a nearby psychiatrist who took her insurance without a long wait to make an appointment. Sampson, who has bipolar disorder, said she now sees a local psychiatrist and therapist, and her six medicines are covered by insurance. Her copay for mental health services is $70. Karen Garcia, 39, of Roslyn said she tried to find mental health treatment. 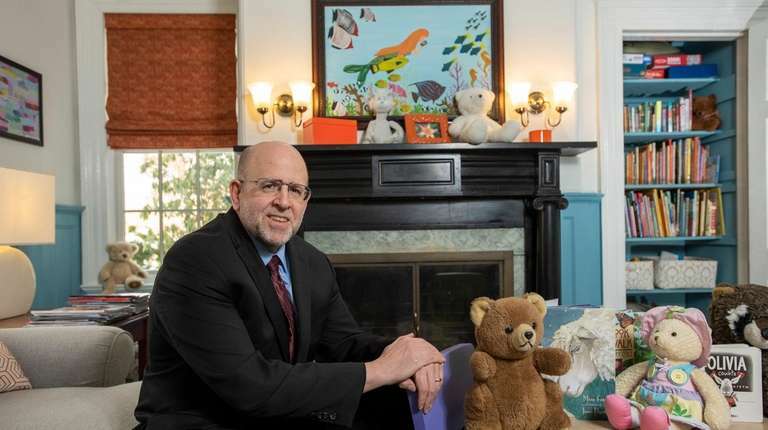 It can be even more difficult to find child psychiatrists who take insurance because there is a shortage of them in general, said Dr. Stephen Perret, who runs a private child psychiatry practice in Westbury. Sheree Simmons of Brentwood, who is on Medicaid, said she pays $400 to $800 out of pocket every month for her daughter to see a psychiatrist in West Islip. The cost varies, depending on how often she needs to go. “She also needs more counseling, but I can’t afford it,” Simmons said. “Very few people are taking Medicaid. 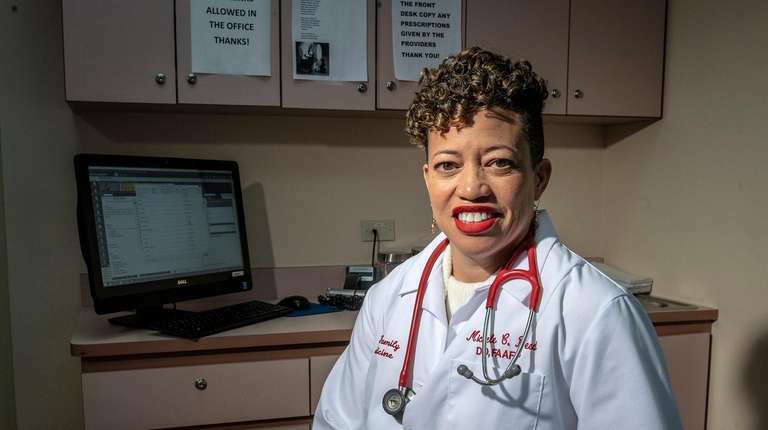 The lack of providers can also be maddening for family practitioners who can’t find the help needed for their patients, said Dr. Michele C. Reed, who has offices in Garden City and Rosedale, Queens. “It’s a daily issue,” Reed said. “I routinely see patients, including children, who have anxiety issues. We try to find them a psychiatrist, psychologist, social worker or therapist who can help. But unfortunately we often tell them to call their insurer, because mental health care providers can’t accept what insurers are willing to pay. Also, usually patients who have insurance don’t feel comfortable going to a hospital-based clinic because, more times than not, they don’t feel like they’ll get the same level of privacy and intimacy” that they would in a private practice. Experts said reimbursements are lower because insurers struggle to quantify the cost for mental health care, which can vary widely for patients with similar diagnoses, depending on the type of treatment. There is also a long-standing lack of recognition that mental illness is as serious as physical illness, and can be tied to other illnesses, they said. In an effort to make mental health services more accessible, some providers spend time — often at lower pay — at organizations that deliver services to those who can’t pay for care. For instance, in addition to his private practice, Perret works at the North Shore Child and Family Guidance Center. The center operates by raising between $1.5 million and $2 million a year through fundraising events, individual contributions and grants, executive director Malekoff said. It accepts all insurance and treats between 5,000 and 6,000 children and their family members yearly, he said. The organization has eight full- and part-time psychiatrists on staff. “Only through our fundraising are we able to … turn no one away for inability to pay and offer a rapid response with no waiting list,” he said, adding that often families are desperate by the time they seek help. Major health systems on Long Island are trying to make behavioral health care more accessible. One strategy includes placing / mental health professionals, sometimes social workers or counselors, inside primary-care practices. Other systems have opened full-service behavioral health practices that include psychiatrists and psychologists — and take insurance. While psychiatrists are the only ones permitted to write prescriptions, psychologists can handle much of the care patients need, experts said. South Nassau, which is part of the Mount Sinai Health System, has assigned a psychologist and bilingual social worker to provide behavioral health services at the Center for Primary and Behavioral Care in Hempstead and at a family medical practice in Oceanside. In less urgent cases a primary-care physician can manage the psychiatric medication in collaboration with a psychiatrist, Kahn-Scolaro, at South Nassau, said. “For patients who require the specialist, the psychiatrist can handle the care directly,” she added. New Hyde Park-based Northwell Health operates a mental health care office, called Northwell Health Physician Partners Behavioral Health at Manhasset. “We plan to dot the landscape with this type of practice … They’re in great demand,” said Dr. Blaine Greenwald, Northwell’s vice chairman of psychiatry. 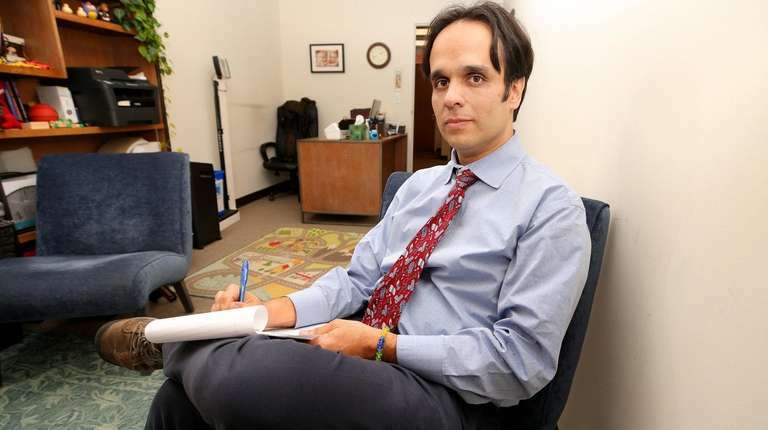 To make it work financially, psychiatrists at the Manhasset office see about 15 to 20 patients daily, and only treat people who need medication as part of their care, Greenwald said. “Therapists see the patients for other services,” he said. Stony Brook Medicine has embedded behavioral health professionals in various primary-care settings, Golden said. Stony Brook also uses tele-psychiatry to deliver behavioral health care to patients on the East End, where there are fewer providers to meet the demand. New York State is expanding telehealth regulations to allow patients to be seen in a variety of locations, including their homes. But there are federal restrictions that limit the reimbursement of these services to Medicare beneficiaries. A bill that would lift restrictions expired without a vote in 2018. Catholic Health Services’ Mercy Medical Center operates a behavioral health clinic in Garden City. “We take everyone, and it can be difficult because it’s overrun,” said Brenner, who is in charge of the health system’s behavioral health care. The facility handled 28,000 visits last year. Brenner said CHS is also considering opening a clinic in Suffolk.“ “You’d think a clinic would be a profitable enterprise, but given the billing structure, it’s far more complicated, and many clinics struggle,” he said. NYU Langone this year launched a corporate program in which companies contract directly with the Manhattan-based health system for mental health services. Two large companies have signed on, and others have expressed interest, said Dr. David Ginsberg, the vice chairman of NYU Langone’s psychiatry department. “It’s a very strong retention tool for companies,” he said.